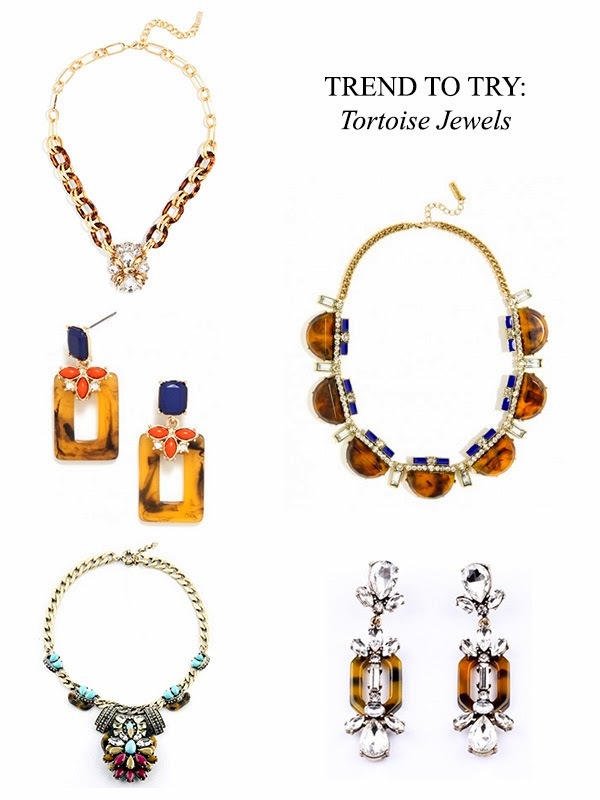 My favorite jewelry trend to emerge this fall and winter is tortoise jewels! They're both chic and unexpected, and are a great neutral to pair with pretty much everything. Shopping tip: Watch sites like Groopdealz and Forever 21 for extra affordable options that will pop up! I scored the crystal + tortoise earrings above from Groopdealz for a mind-blowing $8! Gorgeous! Yes, I totally agree—they go with anything. Plus, the subtle tortoise patterns adds some fun interest :) Beautiful picks! Tortoise shell trend is timeless! It was huge back in the 80s - hairclips, sunglasses frames.. I think they look really nice! I really like tortoise jewelry–it has a fun, preppy feel! I am so on board with this trend! Need some earrings! Gahhh I just remembered that GORGEOUS earrings you scored for $8! Still so effing jeally! I absolutely love those crystal tortoise drop earrings Jacy! Lovely picks!